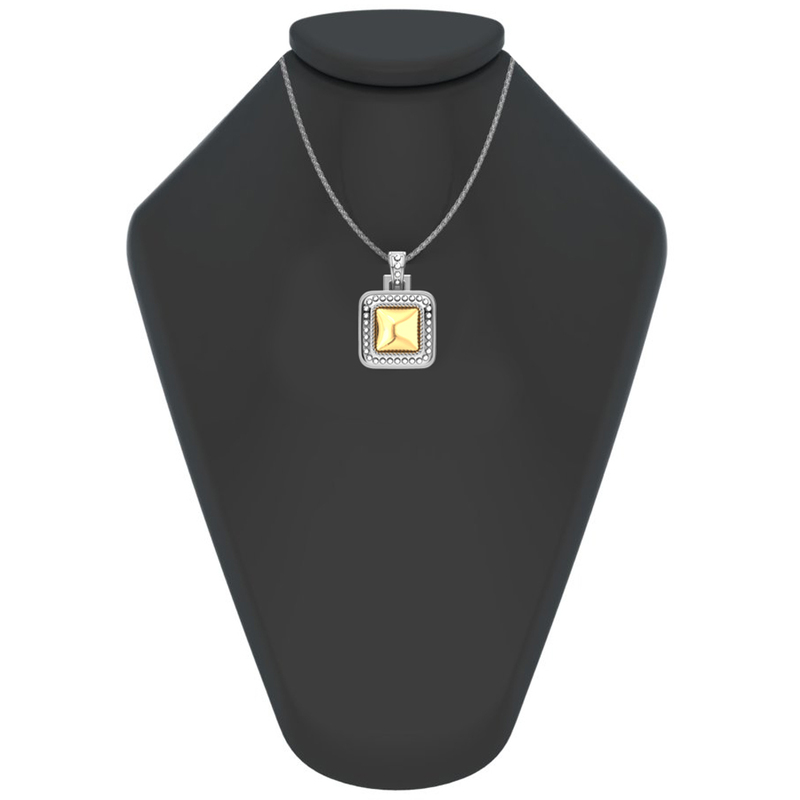 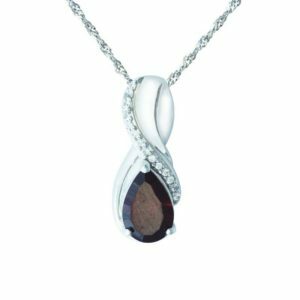 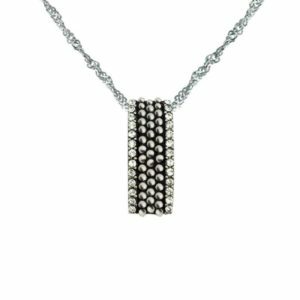 This gorgeous pendant is crafted out of .925 sterling silver and features a 14k gold centerpiece with a rope-like design border. 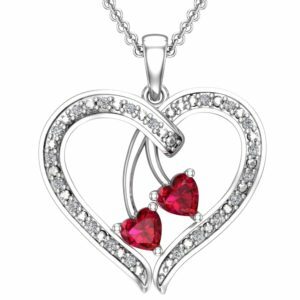 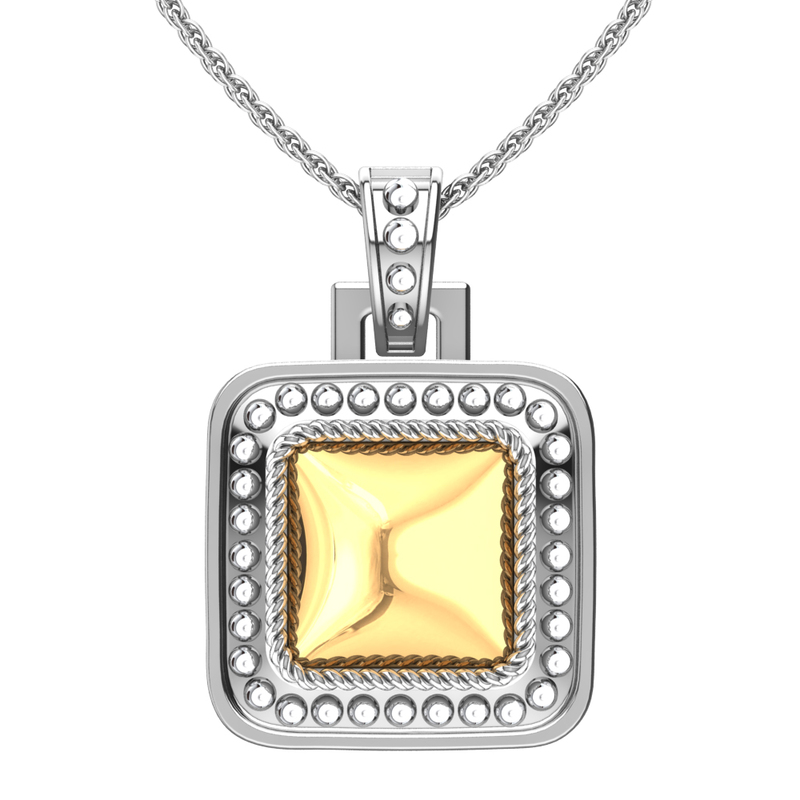 This item has a rhodium plated finish to give it that sleek and shiny finish. 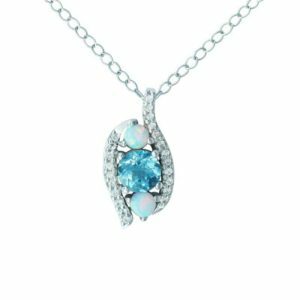 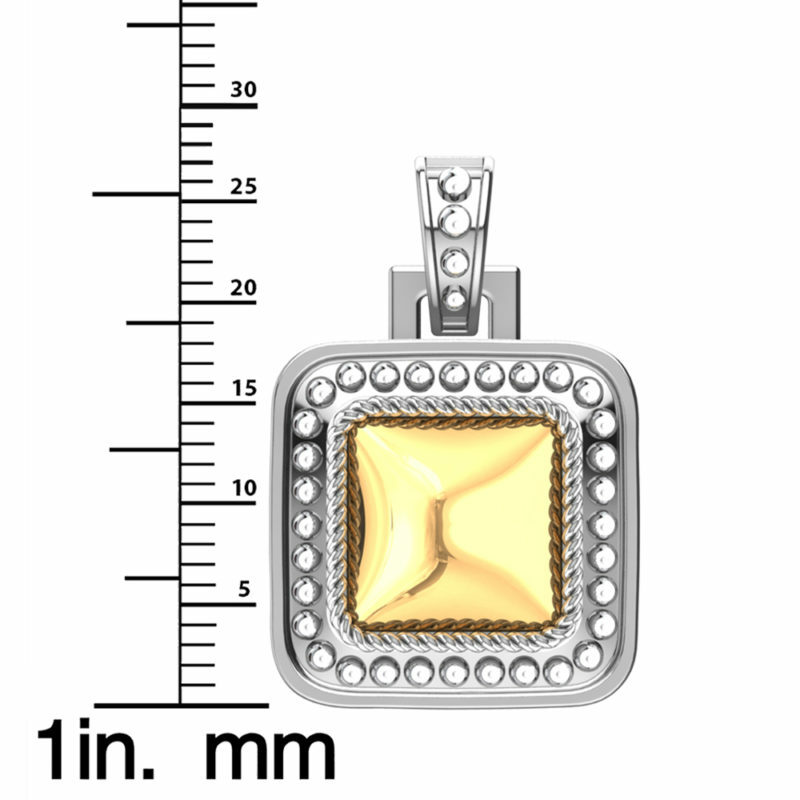 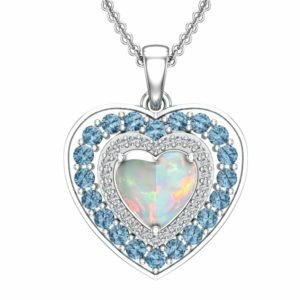 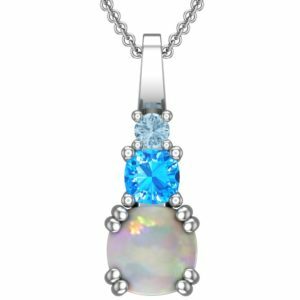 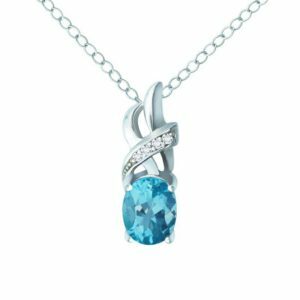 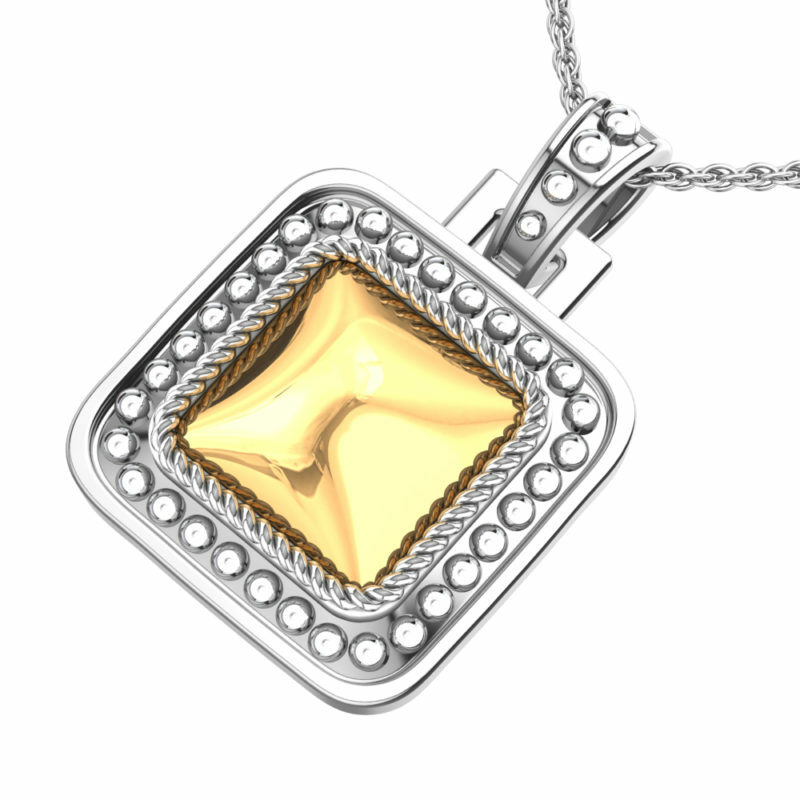 The pendant comes with an 18-inch anchor chain and is highly fashionable. 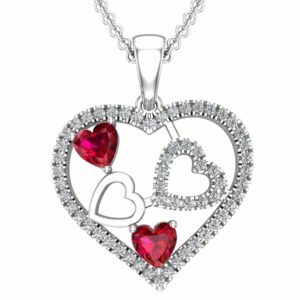 This item makes for a great gift during the holiday season and is perfect for that special someone in your life.